Home › The Afterlife › What is the Biblical Basis for Humans becoming Angels after they Die? 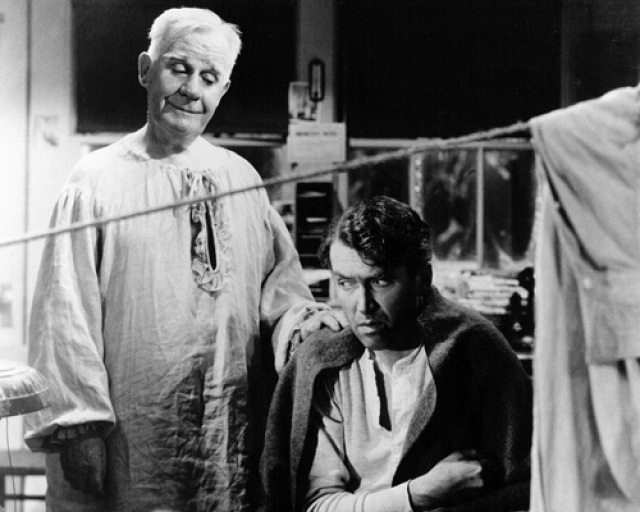 This belief is reflected in numerous popular novels and movies, such as the classic 1946 American movie It’s a Wonderful Life, in which a guardian angel named Clarence occasionally refers to events of his life (and death) as a human being on earth. Emanuel Swedenborg (1688-1772) taught that there are no angels pre-created as a separate race, nor did any such pre-created angels fall from heaven to become Satan and his angels. Instead, he taught that all angels and demons were once human beings who lived in the material world, and that Satan or the Devil is a collective term for hell. As explained in the article, “What is the Source of the Belief that the Deceased become Angels?” Swedenborg is the primary source of the modern-day belief that people become angels after death. Swedenborg himself, though, saw this idea as firmly based on the Bible’s depiction of angels. Genesis 1 describes the creation of “the heavens and the earth,” and everything in them. And yet, in the Creation story there is no mention of God creating angels. It seems unlikely that God would leave such an important created being out of the Creation story. The passage about “Lucifer” in Isaiah 14:12 is often cited as evidence for pre-existing angels. However, this prophecy was not interpreted as being about a fallen angel until centuries after it was written. In the original Hebrew, the word that is translated “Lucifer” in older and more traditional translations actually refers to the morning star (i.e., Venus), using it as a metaphor for the king of Babylon. The Bible commonly uses the word “man”—Hebrew אִישׁ (‘iysh), “man”; Greek ἀνήρ (anēr) “man” or νεανίσκος (neaniskos), “young man”—to refer to angels. The two angels (see Genesis 19:1, 15) who visited Lot in Genesis 19:1-29 are called “men” in Genesis 18:2, 16, 22; 19:10, 12, 16, and in several other verses in Genesis 18 & 19. When an angel appeared to Manoah and his wife (Samson’s parents) in Judges 13, they identified him as a “man of God,” and both they and the narrator also refer to him as a “man”—although he is also clearly identified as an angel. Manoah even calls the angel “a man” when he talks to him (see Judges 13:11), and the angel does not correct him. This suggests that the angel had no problem thinking of himself as a human being like Manoah. The angel(s) at Jesus’ empty tomb is(are) referred to as an angel in Matthew 28:2-7 and as two angels in John 20:11-13, but as a man in Mark 16:5-7 and two men in Luke 24:4-8. In short, the Bible uses “angel” and “man” almost interchangeably when speaking about angels. If angels were a separate race, the Bible would not refer to them as men, or people. That would be like calling a horse a sheep, or a pig a donkey. The fact that there is no separate word for “angel” in the Bible (see below), and that angels are commonly referred to as “men,” strongly suggests that angels are humans. So Jesus himself says that people who are righteous will shine in God’s kingdom—just like the angels. In fact, human beings are also called “messengers” many times in the Bible, using the very same words, both in Hebrew and in Greek, that are used of angel messengers. For just a few examples, see Genesis 32:3; Deuteronomy 2:26; Joshua 6:17; Matthew 11:10; Luke 7:24; James 2:25. In short, “angels” or “messengers” in the Bible can be either human beings on earth or angelic beings in heaven. Both of them are described using the same words. In the incident of the question from the Sadducees about the Resurrection, recorded in the three Synoptic Gospels, Jesus says we will be “like” or “equal to” the angels. See Matthew 22:30; Mark 12:25; Luke 20:35-36. And people who are saved are described as having powers similar to those that angels might wield. See, for example, Mark 16:17,18; 11:23; Luke 10:17,19; John 14:12. Yes, it could be objected that just because people can be just like angels, that doesn’t necessarily mean that they can become and be angels. But if it looks like an angel, walks like an angel, and quacks like an angel . . . . The main difference between humans and angels is that humans live on earth while angels live in heaven. Other than that, it’s difficult if not impossible to find any real differences between them. And since it is commonly believed by many, if not most, Christians that we will live in heaven after death, that would leave no differences at all between angels and humans. It would seem that, as angels, we humans walked among each other more frequently during the biblical ages than today. Though I cannot personally attest to actual encounters, then or now, there appears to be more disconnect in today’s age. Perhaps it is the disconnection with faith which exists more prevalently now based upon the greater number of self-proclaimed free-thinkers. Maybe it’s just that our eyes do not ‘see’ based on our lack of faith, or maybe the level of interaction between lives here in the human plane and those in the spiritual world has indeed become less than during ages before. Are there angles among us? Do they look like a man, walk like a man, and quack like a …? I, for one, would certainly appreciate an encounter with one! It would definitely settle some issues I am having, and I’m sure such an encounter would be helpful to countless others as well. Yes, we have reported accounts of people seeing someone who suddenly was not there, or even speaking with one who offers insight or comfort in times of apparent great need but usually, though, it is a lost loved one or relative. However, in previous writings you expanded upon the concept that spiritual interaction with our physical lives would typically happen via more mental processes rather than physical ones. Some spiritual beings would be, or are, exposed to our thoughts or feelings at times, and then carry those experiences back to the spiritual world to add to the collective experiences. There is no direct physical spiritual interaction specifically between, say, family members and a lost loved one, since the spirit of the departed would be busy adjusting to its’ new life in the World of Spirits and has no connection to the physical plane of existence left behind – for years, if not decades or more. And, exposure to the level of pain and angst of the ones left behind would be unfair to, and counterproductive for, the transformed spirit. How, then, do we account for the reported apparitions of angels, or of lost loved ones which occur most frequently? We rarely, if ever now, hear of such open interactions and conversations between angelic humans and physical humans as reported so frequently in the scriptures. Realizing, of course, our population is significantly larger, more diverse, and certainly more widespread than in the days of old, wouldn’t this also imply though, by sheer numbers alone, we would have more reports of such encounters and interactions? Yet this doesn’t seem to be the case. In fact, as the religions of the world continue to drift further apart from one another and become more secular and steadfast in their own doctrines, stories of such encounters have become fewer and fewer. In our age of such diverse religious convictions, I would think more interaction is needed if the goal of mankind is to become more unified with God, for those who have such beliefs. If the level of angelic interaction during the ages of scriptures was based upon helping man out from dark times and into a more cohesive existence with each other, having a common basis for faith and defining ways of life, I think that level of importance is even more relevant now. Where are today’s physical angelic encounters, and why aren’t there more? Good to hear from you again. Thanks for your thoughts, musings, and questions. About the apparent lack of angel encounters today, I do think it is a function of our more materialistic mindset. It’s a corollary of spiritual law that angels generally cannot show themselves to people who do not believe in, or heavily doubt, their existence. Doing so would tend to force belief, which is contrary to the divine law that we must be left in spiritual freedom. In Bible times, before present-day science and scientific materialism developed, people had no such mental blocks against encounters with angels. Nearly all people believed in the reality of the supernatural. Encountering an angel or spirit would therefore pose no challenge to their spiritual beliefs or freedom. Having said that, it’s good to keep in mind that the Bible story spans a period of several thousand years–and it gives the highlights of the story rather than a blow-by-blow account. The Bible is a record of our interactions with God and spirit over a particular period of human history. It therefore naturally focuses on those extraordinary encounters with angels that changed the course of human spiritual history. Based on the Bible’s story, it would be hard to conclude that every ordinary Joseph and Miriam walking around in Bible times had regular chats with angels. However, in the earliest spiritual era of humanity, symbolized by Adam and Eve in the Garden of Eden, we do seem to have had open communication with God and spirit. God “walked in the garden” with Adam and Eve, and chatted with them as if it were an everyday occurrence (see Genesis 3:8-10). Based on this, Swedenborg says that the earliest people on earth did indeed have regular, open communication with angels in the spiritual world–a contact that was lost as humans became less focused on inner spiritual things and more focused on outward material things. It’s only natural that our primary experiences will be where our minds are most focused. So today, when scientific materialism rules the main institutions of our culture, including the government school systems in which most children are raised in Western countries, it is not surprising that angel encounters have become rare. And yet, many people whose minds are open to spiritual things do still encounter angels–if not always as clearly and articulately as in the angel stories of the Bible. We still have the capability of encountering angels through the opening of our spiritual senses even if it is not a common occurrence for the average person on the street. About encounters with lost loved ones, this, as you say, is probably the most common encounter people have with the spiritual realm. And though it is still not common, I myself have heard stories from several people I know who felt the presence of loved ones who had died. Yes, when we die we do begin our journey toward our ultimate home in heaven (or the other place). However, we’re still the same person we were here on earth. Our feelings for the people we loved and lived with are still the same. And we are still close in spirit to those whom we were close to on this earth. This is why encounters with lost loved ones are relatively common. These are the people we were and are close to in spirit. So if the veil that temporarily separates us from the spiritual world is briefly lifted, we are most likely to encounter the people we were close to who have moved on to the spiritual world. We are thinking of them; they are thinking of us. And in the spiritual realm, thinking of people brings us into their presence. I do sometimes wonder why many people who wish for an angelic encounter never experience one. These days, some people actively seek out such an encounter through spirit mediums or other spiritual guides. I’m a bit skeptical of that, as explained in the linked article. However, it’s not my job to judge other people’s spiritual lives and seeking. In general, my thought is that most of us must struggle with these questions on our own, and find our own answers through our own experience. If answers are handed to us too easily, they do not become our own, but are only a veneer pasted over the surface of our life and character. When we have faced the darkness and the struggle and the deep questions of life, and have pressed forward with dogged determination to seek and find answers that elude us, then when we finally find those answers they enter into our soul deeply and become truly our own. I hope this gives you a little more fuel for your musings and questions. So, the on-the-fence, jury-is-still-out position, and scientific-based material mindset I currently have and am trying to work through is the primary cause for my inability to see angels? Haven’t there been plenty of situations whereby one who does not believe is shown, and vice-versa? I would think that not believing, or struggling with one’s belief would be even more reason angel interaction SHOULD take place to help sway the uncertain mind, and I don’t considered that to be forced belief, per se. Even for those who outright don’t believe. Rather, I feel it would give them more opportunity to better assess both sides of the concept with facts presented from each side, in much the same way we process legal trials. And, if one is already receptive to the position that God exists and all the concept includes, then an encounter would simply solidify that position as opposed to harm it. I would welcome the opportunity of an angelic encounter to solidify my hesitant position rather than potentially forever wondering which side of the argument is more real. Just because we struggle with dogged determination to seek and find answers which elude us, it doesn’t mean we actually do eventually find those answers and call them our own. Many have tried and failed, others die still trying. Perhaps the greatest cause of my own unrest is the uncertainty of it all. Those who staunchly hold to their position of there is no God nor afterlife sleep well at night. Likewise, so do those who hold fast their religious convictions buried in true faith without proof. I, on the other hand, don’t sleep too well, and often wish I could find firm rooting in either position. An angelic encounter would certainly help me, without affecting the beliefs in science I currently have. Instead, it would allow me to view science and our materialistic world with greater scope and understanding from a slightly adjusted perspective. My own journey, fraught with forlorn emotion, is just that. My own. But, knowing with certainty that a lost loved one does indeed still exist, albeit in a way and place which I cannot perceive, would cast away such a burden I carry and allow me to make good with myself and all of my own flaws, and allow me to look forward to transitioning into the next phase of my life as I doggedly struggle down the path. And, I’m sure I am not the only one who feels this way. Of course, I’m not in your shoes. And I’m also not God, so I can’t say what would or wouldn’t work for you. Life is complex. And if anything, our spiritual life is even more complex than our life in the material world. Your current “scientific-based material mindset” is likely a major factor in your lack of direct spiritual experience. But that is only on of many factors. Many people who do fully believe in God and spirit never have experiences of angels while here on earth. Others whose belief is shaky or even nonexistent do have such experiences. God’s ways are complex and mysterious to our limited human minds. I would not want to make any hard-and-fast statements about your particular experience or lack thereof. I do also understand–though probably not with your depth of emotion–about your forlorn feelings and your longing to have some assurance and peace that you are not forever parted from the one you love. I would not presume to make light of that with some doctrinal formula about having faith. However, given that you do approach the world from an intellectual and scientific mindset first, and your rational mind must have some sense of satisfaction that you are not falling for irrational and baseless ideas for emotional reasons, I might suggest a course of action that, while circuitous, could eventually get you to your goal of some sense of assurance. That course involves taking the time and making the effort to learn about spiritual reality, the afterlife, and God, even if you do not at this time seem to have any direct experience of them, or any real assurance of their existence. Any subject will be fuzzy and semi-coherent in your mind if you do not fill it in with the systems, laws, and details that make up the substance of that subject. Those who study zoology must learn many facts about the various genera and species that make up the animal kingdom. Those who study nuclear physics must learn about the many and varied subatomic particles and the many and complex laws that govern them. This is all very specific, idiosyncratic information that must be learned and understood through study over time before any clear picture of the subject can emerge in the mind of the one seeking to gain a full understanding of the subject. The same is true of spiritual reality. Without a systematic understanding and knowledge of the details and contours of spiritual reality, your thinking about it can only be vague and incoherent. But with a firm knowledge of the laws and the details of spirit, you can begin to form a more solid understanding and sense of it, even while your mind may still be in a state of unconfirmed hypothesis and doubt as to its reality. I am not aware of anyone else in history who has even claimed to have had the length and depth of experience with spiritual reality that Swedenborg reports having had. And though I have kept my eyes out for other accounts of the spiritual world, and have read a number of them, I’ve never found another one with the depth and breadth of description and detail of the spiritual realms that the one found in Swedenborg’s theological writings offers. Since your primary wonderment and hope has to do with angels and the afterlife, I recommend that you read Swedenborg’s book on the subject: Heaven and Hell. It may even take two or three readings to fully familiarize yourself with and grasp the concepts and descriptions he provides in this book. But once you are through, you’ll have a solid grasp of at least the general principles of how the spiritual world works, and what it is like there. Since your forlorn emotions involve your relationship with a loved one whom you have lost, the next Swedenborg book to read, as challenging and problematic as it is for many modern readers, may be Love in Marriage (traditionally titled Conjugial Love, and in a forthcoming edition, Marriage Love). Though this book has various trappings of the social status of women and the traditions of marriage common in the 18th century, its presentation of marriage as a spiritual and eternal relationship that comes from the very nature of God is, to my knowledge, unique among books about marriage–even ones written from a Christian and spiritual perspective. There are other books down the line, such as Divine Love and Wisdom and Divine Providence, which will provide your thinking mind with more of the principles of God and spirit, and how God governs and oversees our lives here on earth. Yes, these books were written over two centuries ago. And yes, some of their arguments may look a little old-fashioned by today’s scientific and rational standards. However, the underlying spiritual principles have still not been surpassed–at least, not to my knowledge. It will take some time and mental effort and discipline to work your way through these books. But in doing so, you will equip your mind with the knowledge you need to satisfy your rational and scientific self that the existence of spiritual reality might just be able to hold water intellectually. After all, Swedenborg himself was a scientist who later turned to the exploration of spiritual reality. If any theologian could speak to your spiritual questions and searches, he would be the one. And once you have satisfied your intellectual mind that spiritual reality could actually be real and sensible in how it works, then some of the blockages to the more direct knowledge and assurance you seek would be weakened or removed. It’s quite possible that you will live out the remainder of your days here on earth still uncertain. But there are steps you can take to reduce that uncertainty, and increase your faith that life continues beyond the grave, and you will see your beloved once again. If you do decide to undertake this course of self-study, I would be here to respond to questions you might have along the way. Perhaps once Annette and I have completed our move, I’ll resurrect some of my old online classes and begin offering them again. That would provide an ideal forum to explore these issues. Rich, there are answers to your questions. I don’t think it was an accident that you found your way to this blog, and to the views of God and spirit that it represents. If you keep searching and do the homework, you will find the answers to your questions, and some sense of peace for your aching heart. Thank you for the reply, Lee. Through frequent introspection, I often identify the source of my torment to not be from never knowing whether I will meet up again with a loved one, but rather to be from deep empathy and not knowing if all of life’s trials and pains, fears and anguish, were simply for naught as some atheists would have it. If there is no afterlife, then all we have is what we’ve achieved during out frail human life, and all suffering along the way, in its many forms, is merely inconsequential in the end. For some, that is a comfortable belief. Not so, with others. I would like to believe otherwise. I truly would. I would find great comfort knowing that someone’s fears, pains and suffering, though terribly significant and potentially long lasting when experienced, were nothing more than insignificant blips in the grand scheme of life in its’ entirety, miniscule events during our physical lives on our way to our existential spiritual lives. Experiencing a true spiritual encounter in the flesh or having a glimpse into the supposed world beyond would, without question, fortify that desire into solid foundation for belief. And faith. Of course, having such knowledge, if irrefutable, would make me only the second human to have peered into the depths of chaos itself and see true reality in its place. If that were the case and in today’s society, there probably would already be a nice white armless jacket with my name embroidered neatly across the front and back, waiting to be worn upon my arrival at a nice ‘cushy’ country club estate far from any densely populated area. And we both know, with absolute certainty, that has not happened. Yet. Based upon your previous recommendations, I have looked into ‘Heaven and Hell’ and ‘Love in Marriage’, read through excerpts in both, and have had discussions with you regarding certain passages. I have not acquired either of them yet. You are right, in that they are some heavy reading, and reminds me of trying to wade through Tolstoy or Sun Tzu! I’m not sure I have proper waders for the task at hand so it might take me a while before I am comfortable enough to tackle such a project. The journey of a thousand miles begins with the first step, and embarking on said journey takes time and commitment. And the proper frame of mind. BTW – I did enjoy your most recent posting about Faith Alone. Regardless of my religious position (or potential lack thereof), I wholeheartedly agree with what you presented. Too many hide behind the cloak of such belief while leading a life completely contrary to ANY faiths’ correlating values. It’s such a contradiction. I can’t comprehend how so many seemingly intelligent people fail to see the obvious missing common sense there. But, it keeps people like you tasked with the responsibility to help them see the light – Keep up the good work! My reading of your driving purposes for this spiritual quest seem to have been mistaken. However, my general recommendation would remain the same–although the specific books might shift. They’re there whenever you’re ready and willing. And incidentally, Heaven and Hell is really not a difficult read–especially once you get past the first few chapters. That’s assuming you read it in the translation I recommend in the linked post. Unfortunately, faith works the opposite of the way you wish it would. You have to commit yourself to it first, and then comes the evidence for it. In my own experience, it was not an intellectual decision at all. It was committing my mind to the belief system that I believed would bring about the most good in the world. Materialists seem to think that a belief in the real, and sole, existence of material reality is the default. But we really have no direct knowledge at all of material reality. It is all mediated at minimum through the senses, or more radically, by the mind itself. The only thing of which we have direct experience is our thoughts and emotions. Those are the only things that we can be certain are real. Everything else is secondary, mediated knowledge. And those things we have direct experience of–thoughts and emotions–are things that are generally seen as spiritual rather than material. You can’t measure a thought, or weigh love. So I’m afraid that if you wait for some convincing experience first, before throwing your hat in the ring, you’re most likely going to be waiting forever. Sorry to throw cold water on the parade, but it seems that the parade is already rather dark and cold anyway. Might as well do it now, before you waste any more time hoping for something that has about a .01% chance of happening in the way that you’re hoping for it to happen. Of course, there is a time at which you’ll get the experience if you are at all open to it: the day of your death. But I hope you don’t have to wait that long. Meanwhile, I’m glad you liked the article about Faith Alone. In the end, it will be what you make of your life here by what you do with it that will matter. All of these issues of belief and knowledge will fade away compared to that fundamental issue of the character you have developed here on earth. Please don’t be so quick to dismiss your original perception and analysis of my particular reasons for reaching out to you on this blog, nor for my personal quest to understand that which I do not and find difficult to accept without material substantiation. It is true that my most powerful and focused driving force in recent times has been the traumatic sudden loss of my wife, and constantly wondering if her life, and all it encompassed, both good and bad, was simply a transitory phase or just was what it was, and there is no more. I have always questioned faith, not denounced it, nor ever dismissed the existence God in any form. I simply challenge the concept of faith, and I apparently care more for her everlasting soul than my own, at the moment. Perhaps that is another definition or demonstration of real love. i would like to think so. As I stated back in July last year when I originally responded to your posting, “How can we have Faith when So Many Bad Things happen to So Many Good People? Part 3”, I don’t consider myself to be an Atheist, but more Agnostic, believing in some higher power I could not rationalize and, like my wife, believing we are all part of a greater collective. I was baptized Catholic and confirmed Lutheran. (i know, that’s a mixed bag to work with – don’t hold it against me!) However, had I experienced the opportunity to be given Swedenborgian points of view, I may certainly be in a different place, spiritually, right now. But, as it stands, the further I excelled in math and sciences, the further I found myself from any church and its’ teachings, simply because they lacked logical, systematic proof of concept in my opinion. That’s not to say I wouldn’t have thought differently had I been exposed to more logical and meaningful, approaches to the religious concepts that were thrust upon me. On the contrary. Being an ‘individual thinker’, I may have embraced the right concepts had they been presented to me in a fashion by which they tickled my enthusiasm and intrigue, and made sense in light of the senseless chaos around me. I’m not waiting for any ‘in my face’ experience to put me upon the right path, though I wish it were that simple. My daily angst stems from my deep feelings of empathy and sorrow for what my wife went through, both long term and, at the end, short term. I relive those times daily as if they happened just yesterday. And, I struggle with the concept of whether it was all in vain or there is indeed a greater and more joyous life she is experiencing now, that I somehow cannot bring myself to accept because my material world brain prevents me from doing so. It literally rends my deepest core apart some days. I admit I am on the fence with my beliefs, and have been for more years than I was ever with my wife. I am also smart enough to know and recognize that which I do not know. That leaves me few paths to take, and I fear for my own peace of mind I choose the correct one to embark upon. Extenuating circumstances have certainly influenced, to a great extent, motivating factors to expend time and energy delving into the principals of faith. But, those factors have always been present, and I recognize that. You are here, and we are talking. That would not be happening if you did not have a sincere desire to seek answers beyond what your rational mind is currently willing to let you accept. Love and pain can be powerful forces driving us beyond where logic and rationality can carry us. God plants them in us precisely for that purpose. You have a difficult path to walk. If I may go out on another limb, what you are experiencing is what Swedenborg calls “temptation,” or “trial.” Temptation is not simply a matter of being moved by a desire to do or choose something evil, and resisting it from one’s conscience and better self. Rather, it is a sifting of the soul, a trying and testing of the very fiber of our being, to see what it is made of, and whether, when we reach the point where there is no more perceived benefit for ourselves–in fact, when our life seems all but forfeit–we will move toward the light or toward the darkness. Though your reason must be engaged in the process, it will not be your reason or your scientific mind that will make that decision. It will be your heart. The trial is always of the heart. The mind simply becomes a tool or a weapon in the hands of the heart as it fights that battle and faces those ultimate, wrenching questions of spiritual life and death. And meanwhile, we must get up in the morning, eat breakfast, and go to work. That, at times, is the only thing that keeps us anchored, and out of those special suits that are worn in special rooms. And the mind itself needs proper tools, or weapons, with which to fight the battle. That is why I suggest that you set aside the time and mental energy to engage your mind in learning the spiritual ideas and principles and laws, as well as the concrete descriptions and experiences and testimony, that form the basis for an understanding of the nature of God and spirit. Without that, you will be unequipped and unprepared to face the sifting of the soul and heart that you have already been thrown into. At first, belief, or credence, is not required. The process begins simply with building up knowledge until it coalesces into a systematic understanding. Only then do you even have the basis on which to make any decisions of faith or belief. Real faith is not some sketchy credence in something that is not understood. Rather, real faith believing something simply because it is true. And the only way to even make that evaluation is to acquire a knowledge of the reality (if that’s what it is) whose truth you are evaluating. It may sound circular, and from a purely logical perspective, it is. But as good and necessary as logic and science are, there is more to life than science and logic. If that were not so, our life would be flat indeed. At some point, we must step onto the vehicle that begins carrying us on a path that I would prefer to call spiral rather than circular. It does progress in circles, but on each circle we progress farther forward, or upward, until we find ourselves knowing and experiencing something greater than our mind was formerly willing and ready to entertain. Now before I go into even greater spirals of abstraction, I’ll simply say: Get the book. Preferably, get a physical copy of the full paperback or hardcover (not the Portable). That will come with the introduction and notes to help you along the way. Let it sit on your table, and pick it up when you are ready to pick it up. Then it will be there for you whenever you are ready. I already plan to, Lee. Already plan to. My mother passed away July 10, 2015. I have proof, well at least an amazing story with a photograph to back it up, that shows my mother as an angel on the sixth day (seventh day if you look at the hours and not the weekdays) in heaven. My true story is so amazing, I’m concerned those who don’t know me will find it hard to believe. However, every word of it is true. Every word. I have no doubt there is life after death and I have a photograph to prove it. It is my mother in heaven, as an angel. Thanks for stopping by, and for your story. It may not be convincing to anyone else. But the important thing is that you know your mother is alive and well in heaven. Proverbs 8 speaks of Wisdom being with God during the creation, and assisting him in the work. In the chapter, Wisdom actually says that she helped Him with the Creation. Yes, I did say ”she’, because the context of the whole chapter is feminine, and the Greek word Sophia [= wisdom} is also specifically feminine. How do you relate that to the idea that angels are actually people, because at that point, there do not appear to have been any people [assuming Wisdom is an angel]. Similarly, angels appear to have existed before the Creation of the Earth, when there were no people… if the Earth actually refers to our planet. My understanding is that everyone alive at the time that the Bible was written believed that the Earth was flat, and at the centre of the Cosmos; but that was their cosmology, not ours in the 21st Century. The “Word” here is, I believe, the same as what Solomon speaks of poetically as “Wisdom” in Proverbs 8. So although Solomon does speak poetically of “Wisdom” as if it were an entity distinct from God, in reality Wisdom is part of the basic being and reality of God. We can personify it as a distinct being poetically, but we should realize and understand that wisdom is simply an attribute or essential component of God. Didn’t Jesus say in the Bible that he was there when Saten fell due to pride? However, if you read the whole story in Luke 10:1-24, you will see that Jesus is not talking about Satan falling from heaven many ages ago as traditional Christian mythology holds, but rather Satan falling from heaven at that present time due to the power over demons that he had given to the seventy-two disciples whom he had sent out to preach and heal ahead of him in the towns and cities where he was about to go himself. What do you make of the Cherubim and seraphim talked about in the Bible? Their given description in the Bible doesn’t sound vary human looking. “Six wings, many eyes”. Cherubim and seraphim were mythical creatures seen in visions. Christian tradition to the contrary notwithstanding, they are not the same as angels, which are never described as having wings, many eyes, and so on. The many eyes represent the all-seeing and all-knowing nature of these mythical beings. The wings represent their ability to see things from the heights of spiritual understanding. The rest of their description also has symbolic meaning.